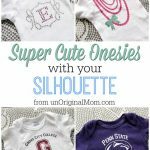 Make your freezer paper stencil and iron it onto your onesie. 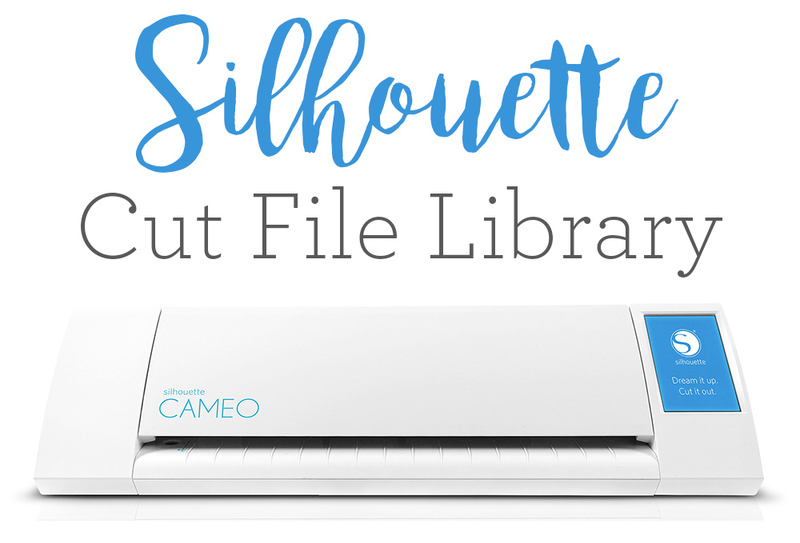 I used my Silhouette to cut a freezer paper stencil, but if you don’t have a Silhouette it would be easy to use an Exacto knife to cut out your stencil. Use a foam brush to lightly dab on your paint – don’t put too much paint on at once or you’ll risk the paint bleeding under the stencil. I think I did two coats. After your paint has dried a bit, gently peel off your stencil. If you used fabric medium, follow the instructions on the bottle to heat set your paint. 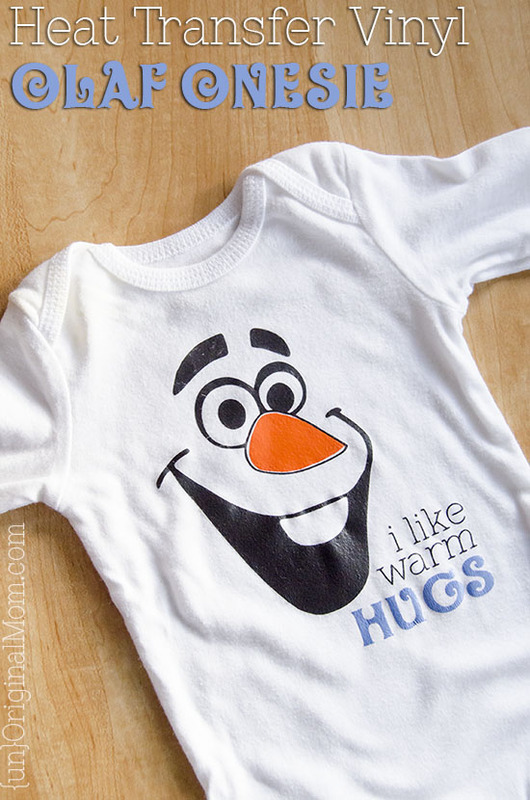 Admire your super cute snowman onesie and gift it to a winter baby! 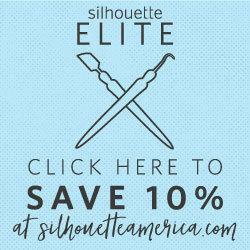 For this one, you’ll need a Silhouette machine and heat transfer vinyl. (I get my vinyl from Expressions Vinyl. 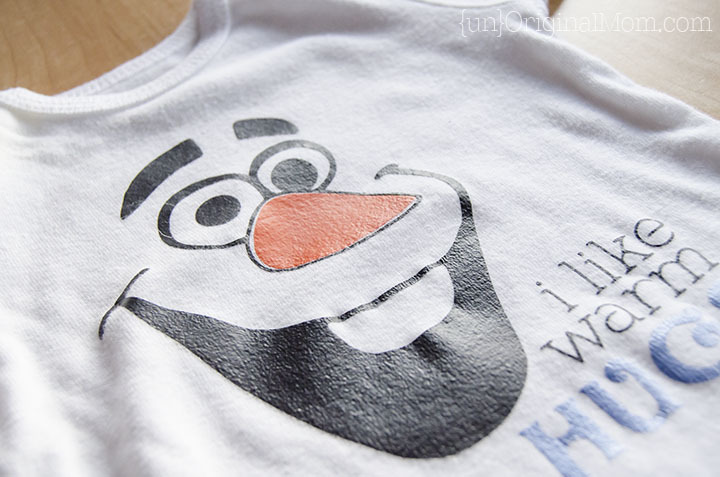 )I traced an Olaf image I found online to create my design. 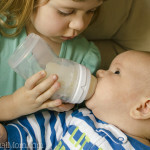 The fonts for “I like warm hugs” are Nixie One and Oliver. I love how it turned out!! 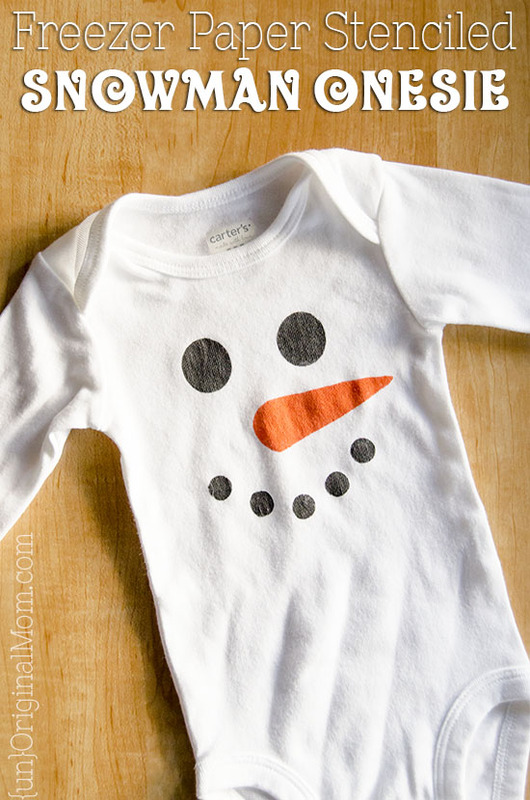 These easy DIY snowman onesies would be the perfect baby shower gift for a winter baby! 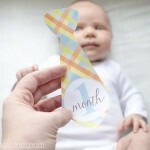 And if you’re looking for some more super cute onesie ideas, you’ll love these ideas! 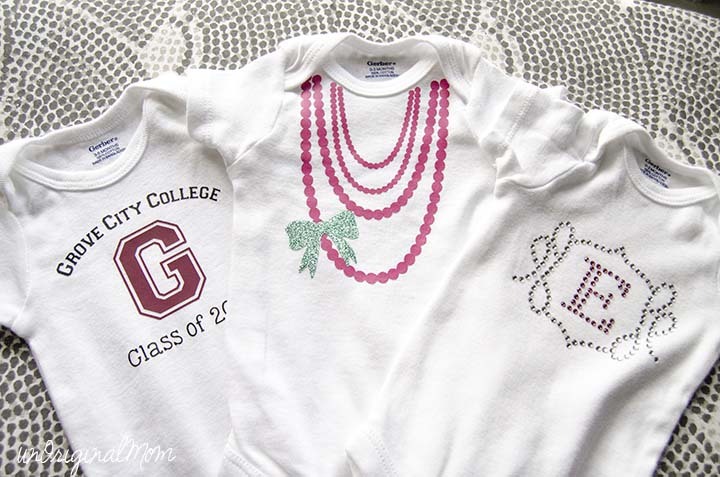 Do you have any other cute onesie ideas? 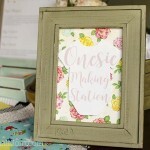 They’re always so fun to make as gifts!